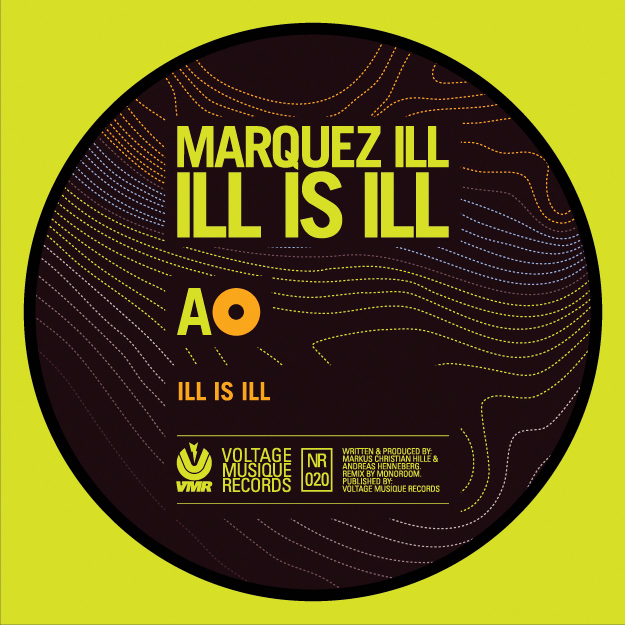 „Ill Is Ill“ is the first release from Marquez Ill on Berlin’s fantastique label, Voltage Musique. A stunning slice of minimal yet atmospheric tech-house, featuring a deep and sleek dub remix from Monoroom, which manages to be both laid back and tightly funky at the same time. The B side also features a masterpiece of straight to the floor action named Komma Klar (Berlin slang for Get Real) – already passing the acid test on the dancefloor of legendary club Tresor… Ace!